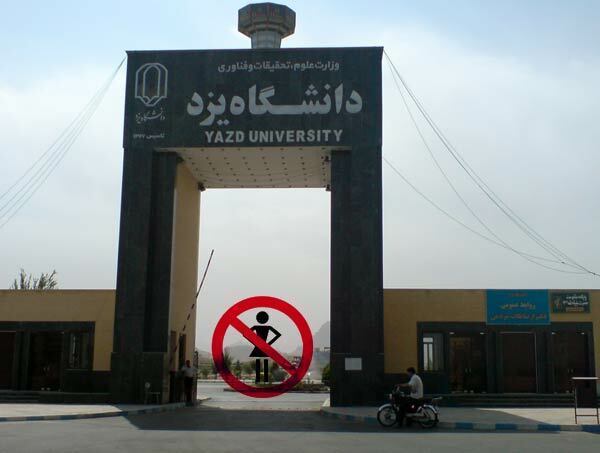 Yazd University has limited its acceptance of women in engineering programs for the coming academic year. ILNA reports that women are now completely barred from the civil and mechanical engineering programs, and the acceptance of new female applicants is down by nearly 25 percent in several programs: electrical, urban development, industrial, computer, architectural and textile engineering. Even the humanities programs such as economics, administration, library sciences, psychology and literature have reduced their intake of women by between 30 and 40 percent. ILNA explains the trend as a step toward the Science Ministry's recent policy of gender segregation in universities. In recent years, establishing single-gender universities and classes has become a top priority for the Ministry of Science, a reaction to the mass protests that followed the controversial re-election of Mahmoud Ahmadinejad in 2009. While student activists were an integral part of these protests, the Iranian establishment has also identified the large number of female university students as a subversive force threatening the regime. The mixed-gender classes have thus been pinpointed as a threat to the Islamic principles of the republic, and efforts have begun to overhaul the university system and achieve gender segregation. Mohammad Hassan Shojai a Science Ministry adviser, has been quoted as saying: "Single-gendered universities have a higher level of scientific growth, and male and female students have a higher level of psychological tranquility."